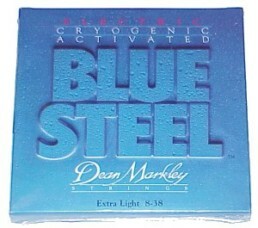 Brilliant Stainless Steel, Cryogenically processed electric strings for two to three times the life of regular strings. 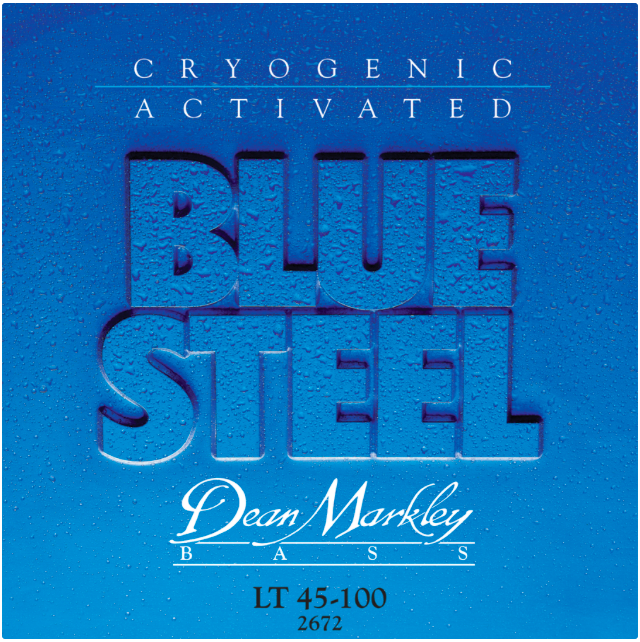 Dean Markley Bass Strings – Intelligently constructed with our unique approach to compound winding. 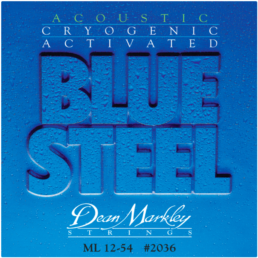 Most of you may not realize the technology and finesse involved in creating our strings. 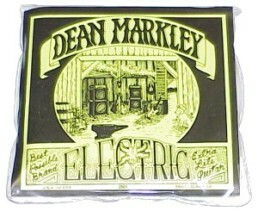 Here at Dean Markley, the way we make bass strings, and for that matter all of our strings, is unique. Every company makes ‘em a bit different, and the “recipes,” while they may look the same, can be quite diverse. 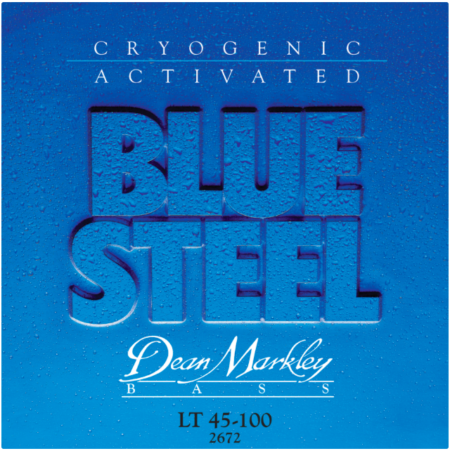 With the exception of strings smaller than .050, all of our bass strings are made using compounded winding. This simply means that we are building the mass of the string using smaller incremental sizes of wire. The winding directions are reversed between layers to “cross-hatch” the covers. This makes the string smoother. The term “compound wound” does not necessarily mean two covers. When we get to thicker gauges like .095, we use three covers. 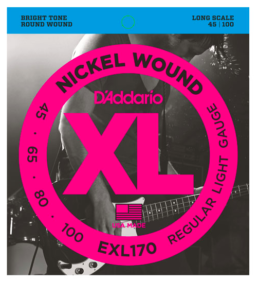 At .120 we use four covers, while other manufacturers continue to use no more than three covers on large strings. We do this for two reasons. First, we try to use a reasonably small final cover. This makes the string’s surface as smooth as possible. 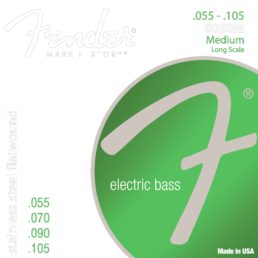 And second, compounding allows us to use a smaller more flexible core wire, which enhances the string’s playability. As an additional and very important factor, the process tension (the tension that the core is held at during the winding process) is equally important to obtain the final recipe that we desire. 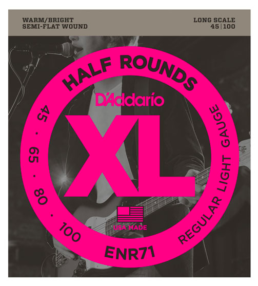 Another factor we consider when creating our bass strings is the “core to cover ratio.” These ratios vary as we hone in on just the right mix that offers the best playability and durability. If a string is designed in such a way that the core percentage is too large, then playability is sacrificed. If the core percentage is too small, the string can break, and obviously that isn’t what a player wants! There is a rule that comes from the early 1900’s piano string industry that states that a string’s tension should never exceed 66% of the breaking point of the core. Our engineering philosophy maintains a 60% rule when developing new designs, because our strings are plucked, slapped, or worse, and not hammered like a piano. Each material used has a specific weight which influences tension, so we use mathematical modeling to determine just the right mix of core to wrap. 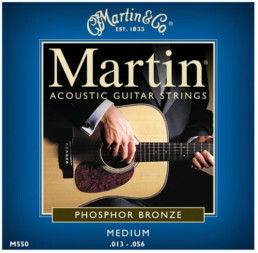 Sounds technical, but the important result is a great sounding string that lasts. So thump ‘em, slap ‘em, pick ‘em, caress ‘em. 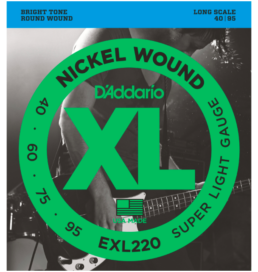 They’ll give you the love right back with tone, resonance, and sustain that just doesn’t quit.